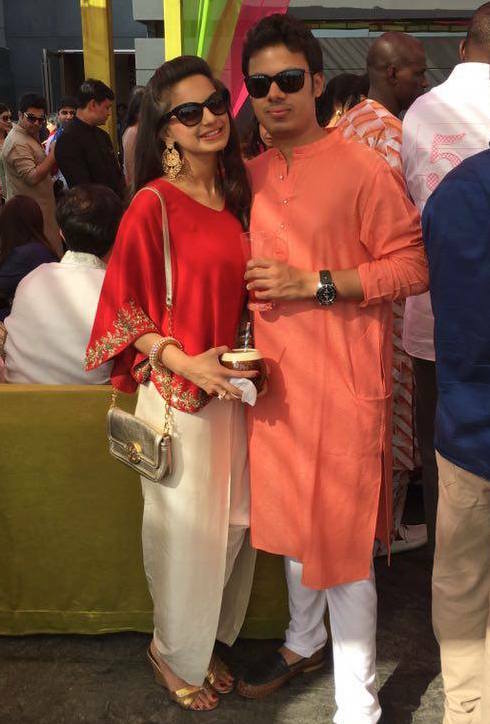 Looks like dhotis are a popular choice for guests to wear to a Mehendi! And this is the same cape that we featured on the blog recently – in a post about all the options of what guests can wear to weddings (other than anarkalis!) I was very happy to see a wedding guest actually wear the exact same look we had featured, and look so good in it! 🙂 So if you’re wondering if you should wear that cape or dhoti to a wedding, do it. It works!